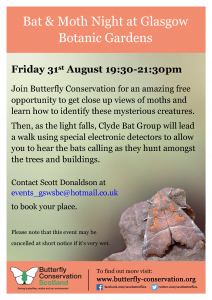 On the 31st of August, as we slowly slip into Autumn, why not come along to the Bat and Moth Night at Glasgow Botanic Gardens. 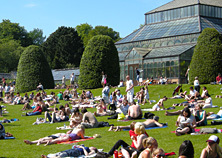 Meet near the Kibble Palace after 7.00pm for a 7.30 pm start. 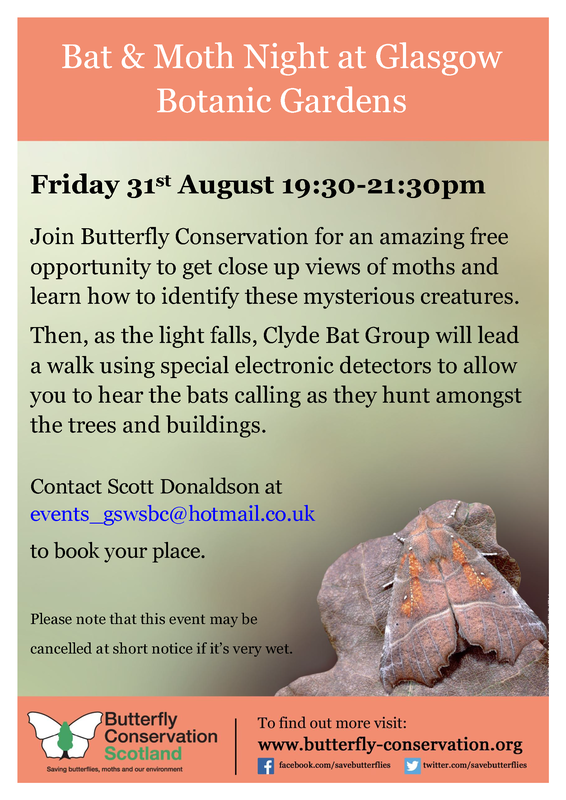 Please contact Scott Donaldson at events_gswsbc@hotmail.co.uk to book your place. Wee Hamish McDiddy, from just outside Liverpool, has sent in a request for ash related postings, it was wrapped in two pieces of bread and jam. Our tree, appropriately the weeping ash, was a gift to the original Glasgow Botanic Gardens (at Sandyford, near Sauchiehall Street) from nurseryman, Robert Austin. 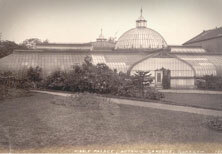 Having been planted in 1818 it was then moved to its current site in 1841. 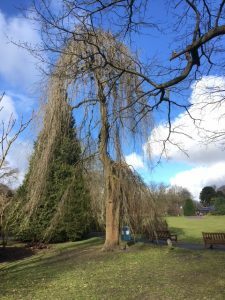 The original tree was small so all the taller trees were grafted high up to produce a tall, clear trunk with upper pendulous branches. 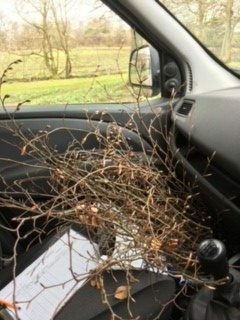 All the ‘Pendula’ cultivars are believed to descend from a single tree found in the parish of Gamlingay, Cambridgeshire. Information taken from W J Bean’s Trees and Shrubs Hardy in the British Isles, our thanks also go to Professor Yaffle Chucklebutty for his lifetime of research into “Happiness; Cause and Effects”. Alas, more research now needed…. Sunrise on the first day of Spring. 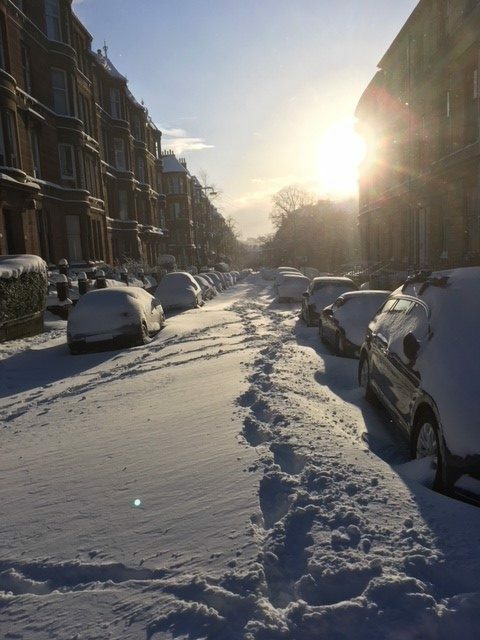 It wasn’t the usual journey to work today! We were a bit dismissive of the snow yesterday but overnight we received a sharp reminder from Mother Nature in the form of just less than a foot of snow at Glasgow Botanics. 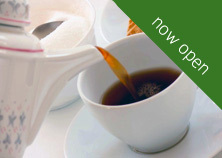 The Tea Room staff have walked several miles from the south of Glasgow to open up the Curators House Tea Room. I think they were needing a drop of their own medicine by the time they arrived. 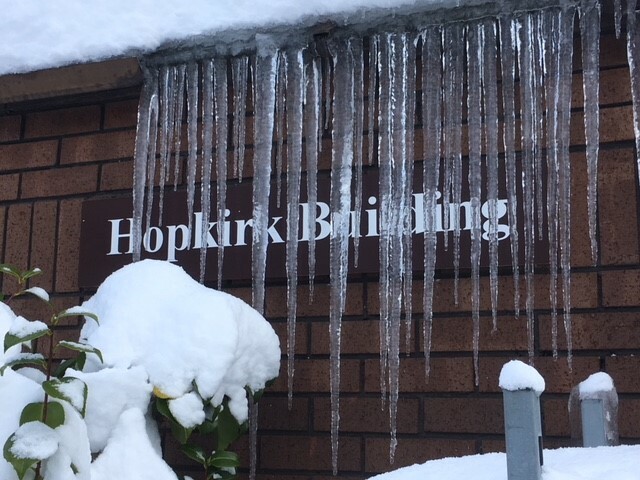 Usually home to ‘cool’ events such as the Book Fair, Botanical Painting or Garden Design classes the Hopkirk Building is looking slightly chilly today. Please contact your course lead before traveling, if you plan to attend any classes over the next two days. 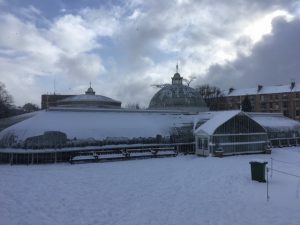 Due to difficulties with the transport network, we are short staffed at the moment so the Main Range will remain shut, the Kibble Palace, as always, is open till 4. 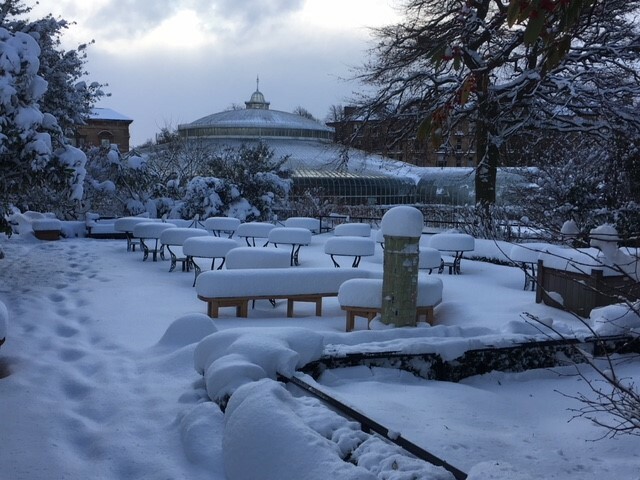 Inside the glasshouses the plants still need watered despite the snow and we would like to thank our Glasgow University student placement who turned up today and assisted two of the horticultural apprentices with glasshouse maintenance. 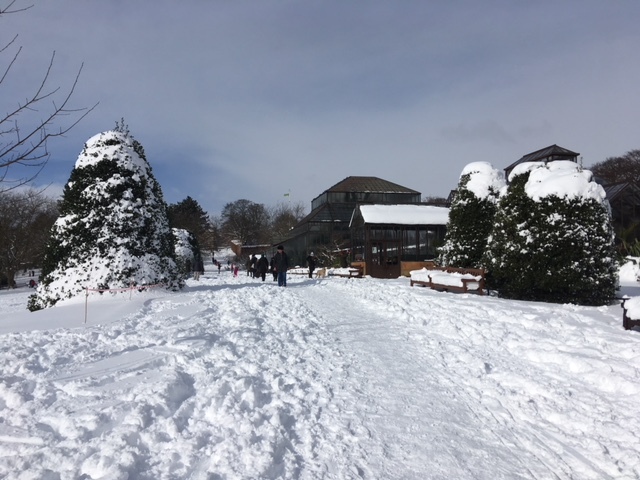 Today ( 1/03/2018), the Main Range will remain shut, Public Toilets are open till 4 pm, The Tea Room is open but will close at 2pm, Kibble will close at 4 pm and we will be shutting and locking the gates to the grounds by 5pm. 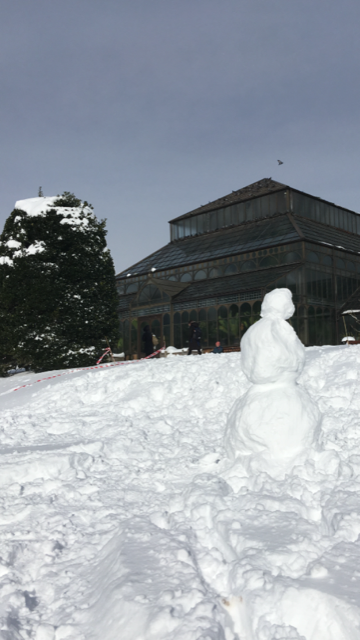 This to allow our staff, apprentices and volunteers to travel home, and so I can find a carrot to finish my snowman. 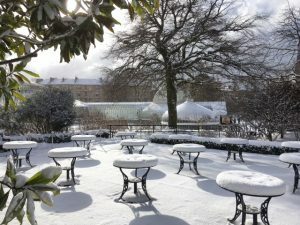 We were open this morning, as we have been for nearly 201 years, despite the ‘dusting of snow’. To ensure staff and public are cleared from the grounds safely, glasshouses and grounds will close earlier than advertised. We will open again hopefully as normal tomorrow. Sorry to disappoint the Galanthophiles with the post title. 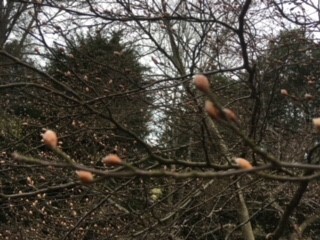 Despite the continuing chilly weather, work is continuing around the garden. Find out what has been going on here. A lot of new work is getting under way at GBG. 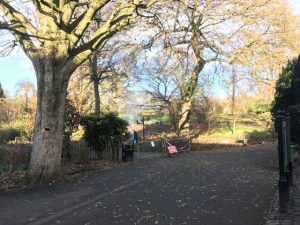 Plans are being prepared for a change in the North American Arid House (Main Range 5) and the team are preparing planting pits for new trees and shrubs to be planted in the grounds. It’s still cold outside but under glass there is still a lot to see here is a quick look at an interesting plant currently flowering in the palm house. After a lot of hard work by the team at GBG the infected Rhododendrons at the Main Entrance have been removed or destroyed on-site. 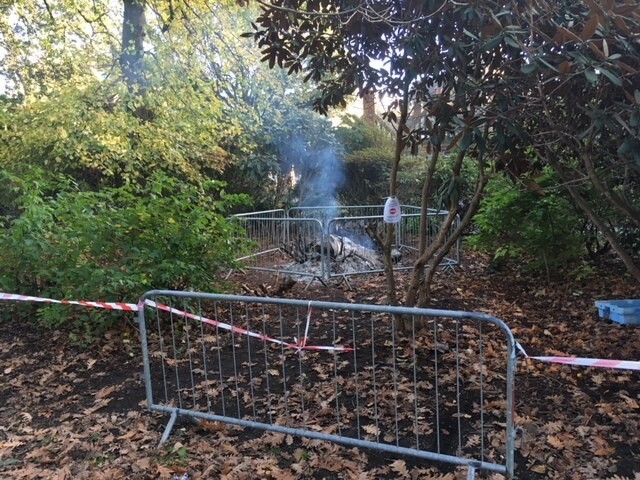 After the plants directly within the quarantined area and associated leaf litter were destroyed, approximately one month ago, the plants outwith the quarantined zone have had the top growth removed and burned. The rootballs of these plants will be removed and disposed of off-site as quickly as possible. The beds were quite overgrown, some plants were leggy and had been damaged over the years but the Rhododendrons still provided early seasonal colour. 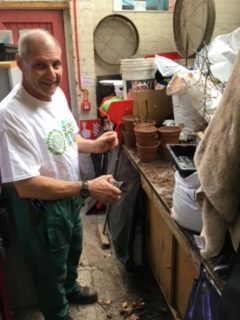 Speaking to some of the frequent visitors to GBG these plants will be greatly missed. We will be working with partners in the Plant Health Unit of the Scottish Government to continue to monitor and review the situation with regards to Phytophthora at GBG. 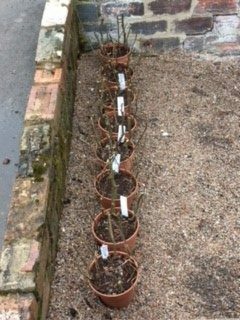 We are restricted for 4 years in our planting choice for these beds but we shall publish our new plans soon. 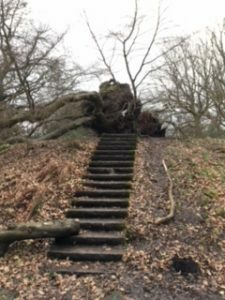 Update on the P. ramorum outbreak. 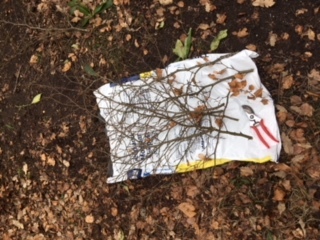 We have now removed the plants that were identified, by laboratory testing, as being infected with the pathogen. 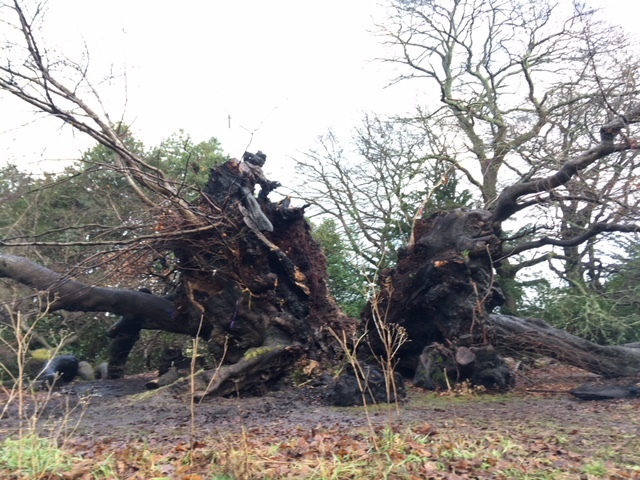 Plant material was destroyed on site by burning (see pic below), in accordance with the best practice laid down by in Scottish Governments Plant Health Order. 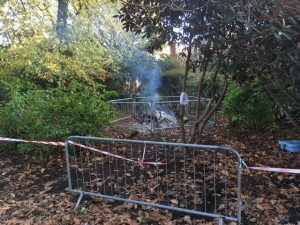 We feel it is prudent to remove all the susceptible species from the two planting beds and work to complete this task is now ongoing. 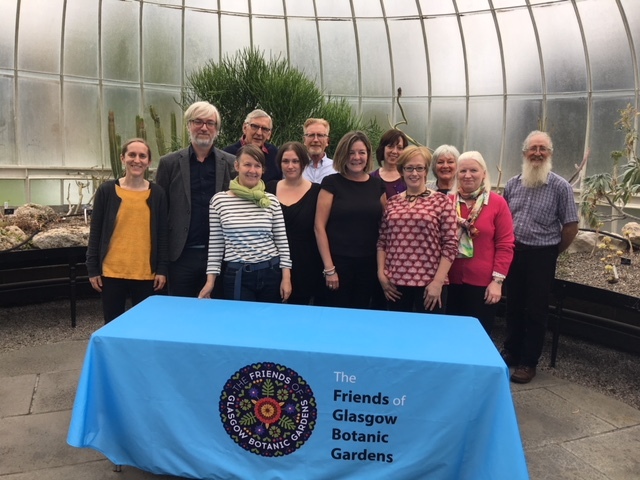 Glasgow Botanic Gardens takes matters surrounding Plant Health and Biosecurity very seriously and co-operates closely with other partner agencies to maintain good standards and best practice. 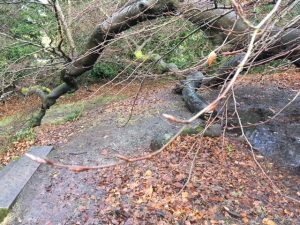 A recent monitoring visit by the Scottish Government’s Plant Health Unit identified a possible problem with some of the Rhododendron plants in the garden. 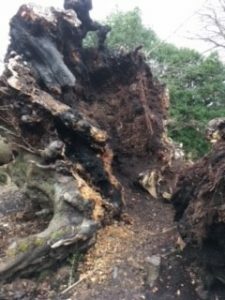 Laboratory results have now identified a pathogen called Phytophthora ramorum on Rhododendron in two beds in the garden. Phytophthora ramorum (P. ramorum) is a fungus-like pathogen called a water mould. It causes extensive damage and death to a wide range of trees and other plants. The generic name for the disease which it causes is Ramorum disease. 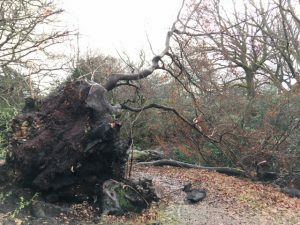 The disease is known in the USA as ‘sudden oak death’ because different genetic forms of the P. ramorum organism from those present in the UK have caused significant damage to North American native oak and tanoak species. 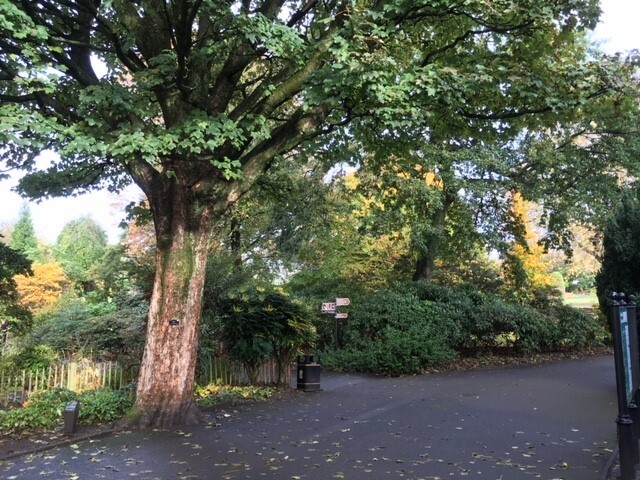 However, the genetic forms of the P. ramorum organism found in the United Kingdom have had little effect on Britain’s two native oak species: pedunculate or ‘English’ oak and sessile oak (Quercus robur and Q. petraea respectively). Will the disease make me or my pet ill? Phytophthora ramorum is not a risk to human or animal health but does pose a threat to a large number of plants within the Botanic Gardens Collections. 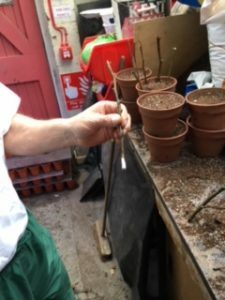 The plants that are infected are mature and were planted twenty years ago so it’s not a disease that has been brought in from a horticultural nursery. The disease is spread in water-splash, often near pathways, where infected material from footwear, paws or tyre tread comes into contact with the leaves of a susceptible host. 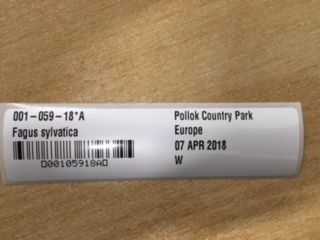 Given the location of the infection on plants in Glasgow Botanic Gardens, this has been the probable cause. A Plant Health Order has been issued and the Botanic Gardens will now take immediate steps to remove and destroy the infected plants and other host plants in the immediate vicinity. 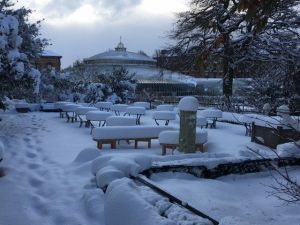 A ban will be put in place on certain plants being moved from the gardens. 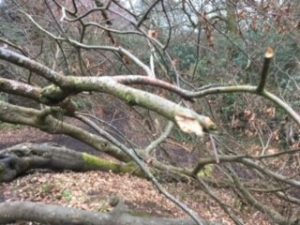 We will not be replanting the areas with species that are susceptible to P. ramorum. Plant Health Inspections will continue until we receive an all clear notice. ~ Cleaning footwear, wheels, paws, etc. 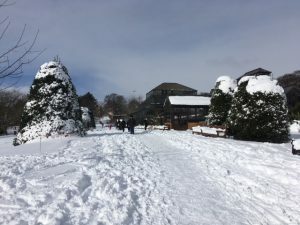 after other visiting sites such as gardens, country parks and plantation forestry. ~ Keeping well informed and using sources of further information (books, websites etc.) 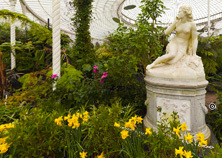 on pests and diseases and their control in your own garden!